For us, retirement planning means more than providing our clients with investment advice. It means helping them maintain the financial independence they've worked their whole lives to achieve.Our consultative process begins with an in-depth discussion of your current finances and future objectives. We'll help address issues you might have overlooked and determine how we can adjust your investment strategy to accommodate changing conditions and help you meet any unforeseen expenses and income demands that may arise during retirement. H.J. Fleming is a First Vice President, Financial Advisor, and Branch Manager of the Greenville, SC Morgan Stanley office and the founder and senior managing partner of the Fleming Kivett Group at Morgan Stanley. H.J. has been helping individuals and companies make investment decisions since 1997. Prior to joining Morgan Stanley, H.J. had internships in New York City with Oppenheimer & Co. and Rudolf Wolfe. H.J. 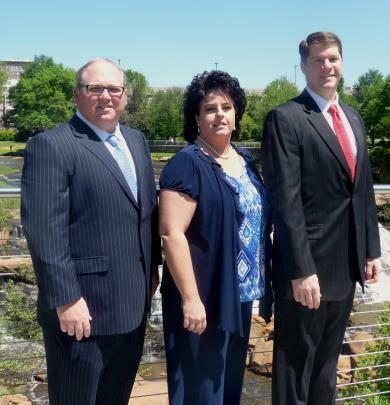 enjoys all the aspects of helping clients with their wealth management, financial planning and investments. H.J. is a 1996 graduate of Wofford College in Spartanburg, SC with a B.A. in Government. In addition to his studies, H.J. was a 4 year soccer letterman and an active member of Kappa Alpha Order. H.J. was born in New York and raised in Charleston, SC and is proud to call Greenville and the Upstate SC area, his permanent home for his family. He and his wife Kay, a busy mother herself, and their two daughters Annie and Mary Beth, are members of the West Minster Presbyterian Church and the Greenville Country Club. In addition to spending time with his family and raising his daughters, H.J. 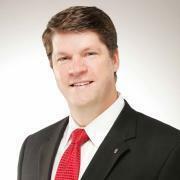 is a United Way Palmetto Society contributor and enjoys playing golf with his lifelong friends. Walter Kivett is a Financial Advisor, CERTIFIED FINANCIAL PLANNER Practitioner, Financial Planning Specialist, Portfolio Manager and senior partner with The Fleming Kivett Group at Morgan Stanley in Greenville, SC. Walter has been helping individuals and companies make investment and retirement decisions at Morgan Stanley since 2004. Prior to joining Morgan Stanley, Walter spent over 15 years working with small to large public and private corporations in the healthcare, oil and gas, industrial and manufacturing industries. 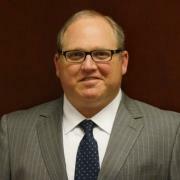 Walter enjoys helping clients with their wealth management, retirement planning, social security options and investments. Walter is a 1987 graduate of the University of Kentucky with a B.S. in Electrical Engineering and a 1989 graduate of the University of Cincinnati with an M.S. in Electrical Engineering. Walter and his wife Dee Wood Kivett, PhD., a busy entrepreneur herself, founded in 2003 a non-profit organization, Operation Bear Hug Inc., to provide stuffed animals to police, emergency responders and children's non-profit agencies. Walter is an active Rotarian in the Greenville Rotary Club, the largest in South Carolina, and enjoys coaching his 4 children, Sarah, Conley, Kyle and Kelli, in various sports and other activities. Walter is active in the Boy Scouts of America as the Blue Ridge Council Outdoor Ethics Advocate, a Leave No Trace Master Educator, Tread Lightly Master Trainer and Assistant Scoutmaster in Troop 776. Walter is a United Way Palmetto Society contributor, has served on various non-profit boards, and enjoys a variety of sports and outdoor activities. Walter and his family have been members of Brookwood Church in Simpsonville, SC since 2002. Walter is proud to call Greenville, SC and the Upstate SC area his home for life. 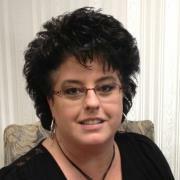 Melissa Martin, Senior Client Service Associate has been with Morgan Stanley since 1998. Prior to joining The Fleming Kivett Group at Morgan Stanley, Melissa was in branch operations in the Greenville, SC office. Her knowledge of all aspects of account administration and general client service processes makes her a valuable member of the Fleming Kivett Group. With Melissas experience, she understands how to provide a top level of client service for the Fleming Kivett Groups retirement planning, wealth management, financial planning and investment advisory service. She is a lifelong resident of the Greenville-Spartanburg Upstate, SC area where she lives with her husband Andy, son Keith and two step-daughters Peyton and Jordan. She also is the proud mother of two daughters, Jessica and Kathleen, and has five adorable grandchildren. As well as a hardworking mother of five, Melissa is an avid bowler, competing in regional and national bowling competitions along with her husband and son. Melissa enjoys all the outdoor activities available to her in the Upstate SC and Greenville area.